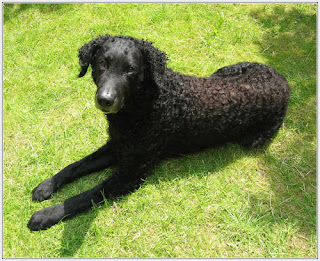 The Curly Coated Retriever, commonly referred to as Curly, is one of the oldest Retrieving breeds having emerged in England for hunting purposes. They are the oldest, as well as tallest of the retrievers. Curly Coated and Wavy Coated were amongst the first two breeds to be recognized in 1860. These are very famous in New Zealand and Australia but at the same time quite uncommon in USA.